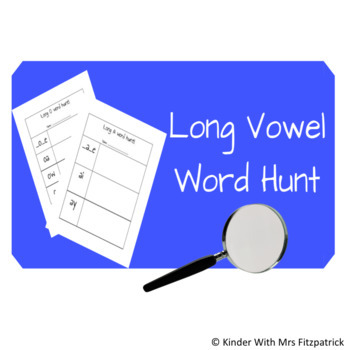 After learning common long vowels students can use this to find examples of words with common long vowel patterns. Students can look around the room or search for words in books. My students LOVE word hunts! 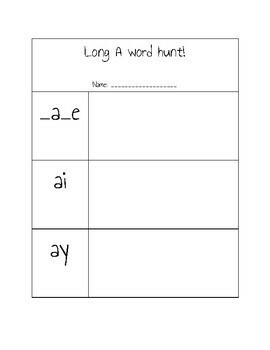 A separate page is included for each vowel. 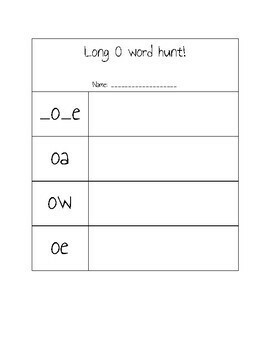 Check out my "Magic E" Word Hunt for a word hunt with just CVCE words!